The action of walking the tramways, gives me direction and an opportunity for seeing the city in a different light serendipity to present itself. After my visit to the transport museum, I decided it would be useful to purchase a map of Dundee. I am always looking to save money and the obvious solution was to purchase a second hand map on eBay. 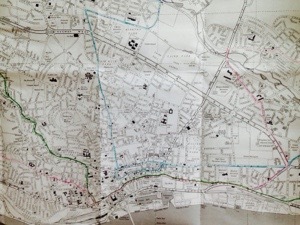 The parcel arrived by post, I opened the brown paper parcel and predicted a morning of drawing the lines of the tram routes I will follow. I wondered if this would be a easy task on a 1980’s edition of the Dundee streets. 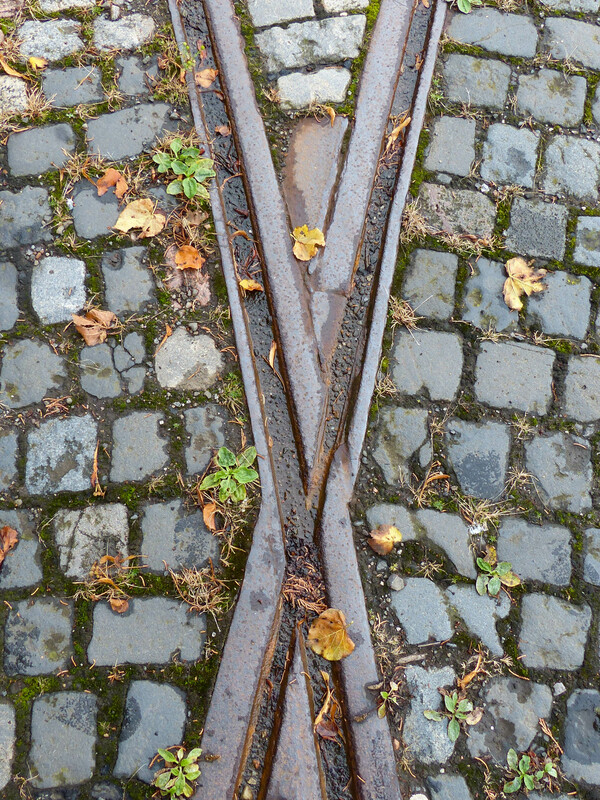 I have decided to walk the trace of the tramway, from Dundee past. The journey is the line on the map above. I intentionally gave myself a set route to give the journey some level control than the art of drifting. What makes the walk along the tramline in Dundee art is my intention to walk – it’s a decision I have made, if those lines were the marks of a drawing there would be no hesitation, yes this is art, but those lines I walk can be compared to the drawn lines , they have the same intention, the details I highlight on my journey can be compared to the finer details of a drawing. The same intention a draftsman has in creating 3-dimensional spaces on a page in the same intention I have in presenting time and space within the journey. I was thinking about why I love to wander. 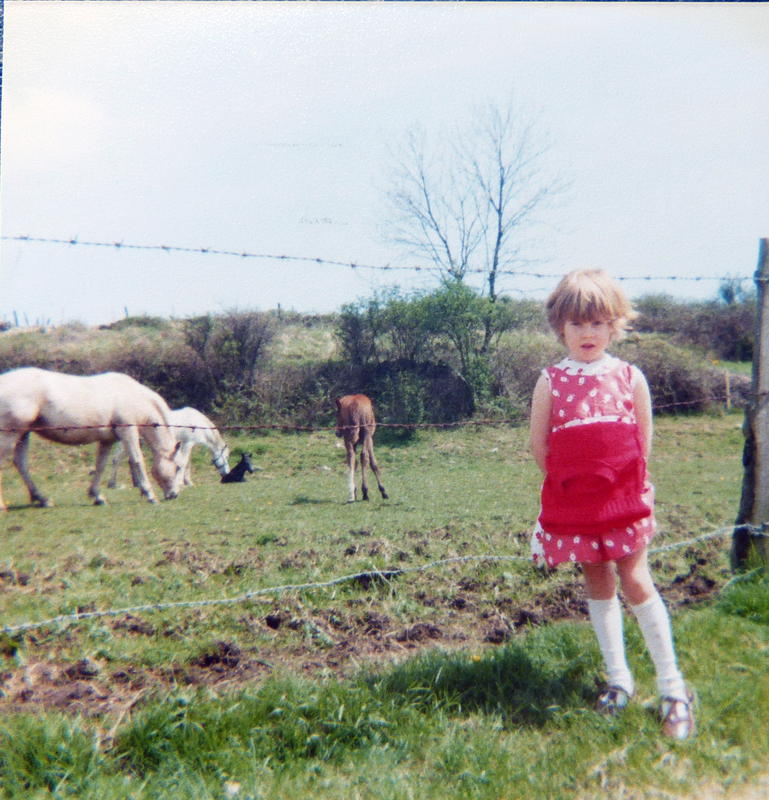 Here are a few photos of my childhood adventures. 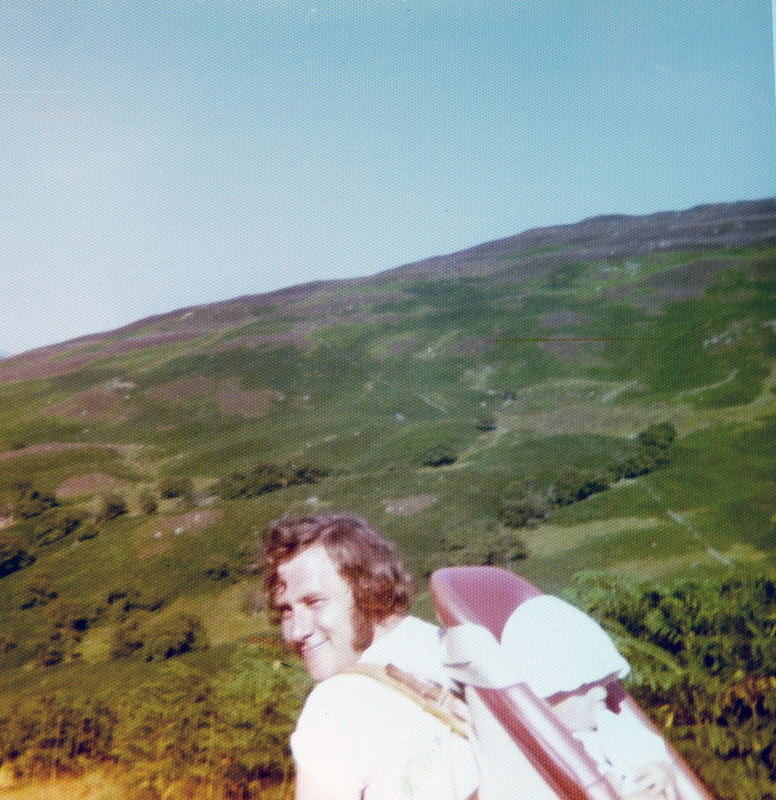 My dad carrying me up Ben Vorlich, using a child car-seat as a backpack. My mum assures me, this idea was not entirely successful. 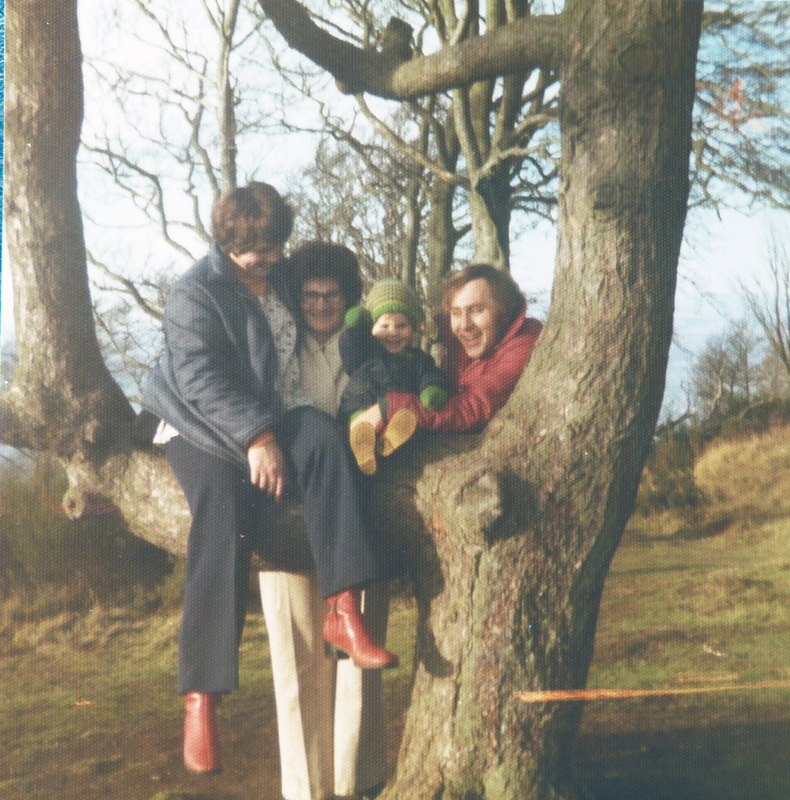 A walk with mum, dad and nanna. Posted on August 30, 2015 September 1, 2015 Categories UncategorizedLeave a comment on The Wandering Child.